Like all of DC’s metahuman superheroes who save the world on the CW every week, Black Lightning has an array of abilities allowing him to fight crime in ways others can’t. While all of Black Lightning’s powers are cool, they also beg the question: “How are you not killing people with them?” We asked Cress Williams, star of the CW’s Black Lightning, for an answer. 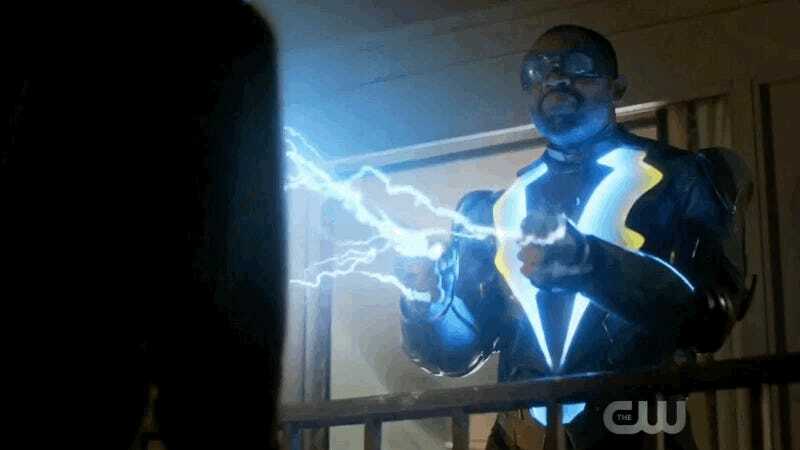 During Black Lightning’s first episode, Jefferson Pierce demonstrates that his general electrokinesis—the ability to create and manipulate electricity with his body—manifests in a variety of different ways. In addition to straight up zapping and incapacitating people, Black Lightning is able to short-circuit electrical devices within a limited range, withstand being electrocuted by outside sources, and generate localized force fields. All of this makes sense when you go into Black Lightning with a bit of knowledge about how superpowers (especially the electrical ones black heroes tend to have) work. And yet, it doesn’t seem like Black Lightning ever actually kills anyone. He may blow up a police cruiser or burn a hole through someone’s shirt, but murder by electrocution doesn’t seem like Jefferson Pierce’s bag. The question is, though, how? He has the ability to use electricity a lot like the way someone picks up a pencil. If you have a pencil, you can really shade in really, really hard and dark or you can use it with the lightest touch. When he’s using his electricity, just because it touches someone doesn’t mean it’s necessarily shocking them. He actively makes that choice whether the electricity’s going to be strong or soft. It’s interesting when you considering that in the real world, researchers are developing improved versions of existing technologies capable of moving objects like boxes, apples, and iPads using static electricity. The startup Grabit, for instance, has a line of mechanical “hands” meant to be attached to robots that are able to create strong attractive forces between two objects, allowing the robot to maintain contact with an object while moving it. 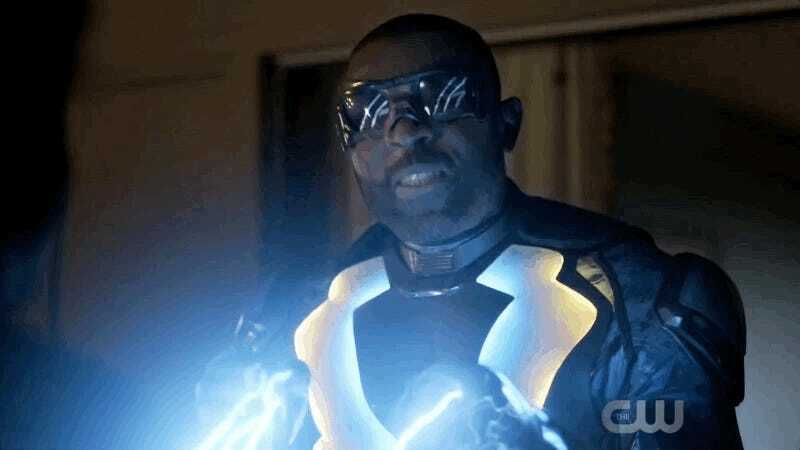 That tech isn’t anywhere near as fantastical as what Black Lightning is able to do, but for the sake of comic book science, let’s just assume that he’s basically doing the same thing but with a lot more finesse and flair.